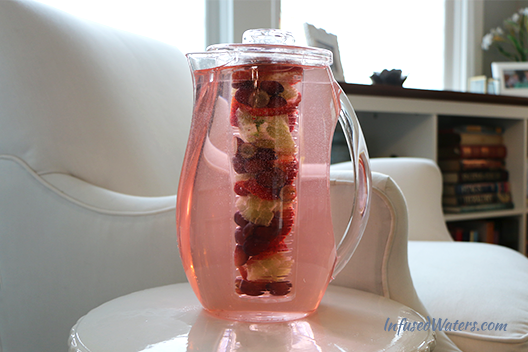 So fruity and flavorful, this is a great drink for serving to people who are new to infused waters. A longer infusion time (up to 24 hours) adds incredible flavor and gives the water a pink tint. Place the fruit in an infusion pitcher core, lower it into a pitcher of water, and infuse for up to 8 hours at room temperature and up to 24 hours in the fridge. More detail below. Cut the grapes in half so that they can release their flavor. Slice the strawberries into 1/4″ slices. 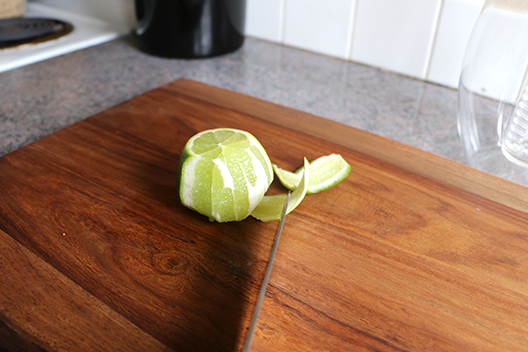 Peel the lime rind off of the lime by cutting the ends of the lime off, then guiding your knife around the edge of the lime to remove the peel. Cut the lime into slices, then cut those slices in half. It’s important to remove the lime peel for longer infusions because the peel will make your water very bitter. Don’t worry, cutting away the peel is easy and you will get better every time. If you accidentally cut too much off, simply squeeze the juice into your pitcher so that nothing is wasted. Next, stack your ingredients into the pitcher core. Do you see how the pitcher is already filled with water? 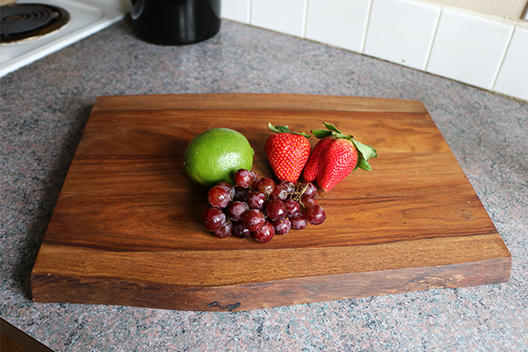 If you lower your core into a pitcher already filled with water (instead of spraying water on the fruit in the core), the fruit will not release little floaters that make your water less visually appealing. You can infuse this water for a long time – but only if you cut the peel off of the lime. 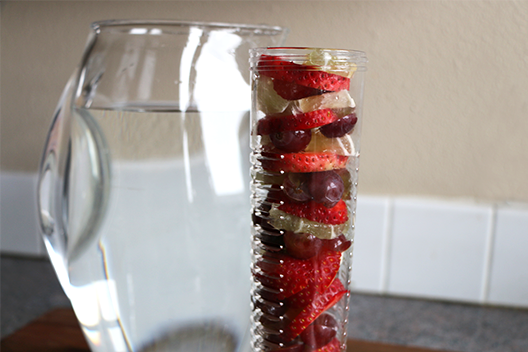 After infusing for 24 hours, remove the fruit and enjoy the remaining water for up to 3 days. Also, it’s okay to use green grapes. Purple grapes are sweeter than green grapes, but both are fine to use. Hi Amy. This is great blog. I love infused water and your recipes are very inspiring. We are on Wellness Wednesday and I have mentioned about your blog and ideas. Great job. That’s all fine and dandy if you have infusion pitcher, but I don’t have one. I just bought a cheap one at WalMart for $10. I am doing a lemon/lime/strawberry combo tonight and it is fantastic. You can also just put the fruit into any pitcher – I like to use lots of ice, too. If I’m worried about how the water looks, I just strain it later on. very good blog and ideas. I have bad teeth. N gum disease. There is no option for me to get $2500.of work done. Is there an infused water combo that will help with bad breath so I can return to social activity without the embarrassment involved ? Tour help will b greatly appreciated. Greetings! I am a dental hygienist , tongue scrapers are great for bad breath. “Breathrx” makes a great tongue scraper. I would suggest putting mint leaves or fresh ginger in the infuser. *Note if you are anemic, you may want to skip the mint, as it blocks iron absorption. don’t know about the water combo yet, but just heard about coconut oil pulling. Google it. it heals gums and whitens teeth. Hope this helps. Alice, the work that you need doesn’t have to be done all at once. Do one thing, pay it off. Do the next thing, pay it off. Over time. Don’t give up! Eventually, maybe over a year, your teeth/gums will be healthier and no more bad breath. And maybe get a 2nd opinion (with cost to compare). Good luck. I came across your posts whilst looking for infused water recipes. Is it still okay for me to keep the fruits in the bottle even after 24 hours? Yes, it is, just keep refrigerated and leave fruits in for no longer than 3 days. Enjoy! My first ever fruit infuser arrived this afternoon and I found your website a real gem for recipes. My bottle is 800ml and I was just wondering the amounts I would need to follow the recipe above as I don’t want it over zingy, especially if I were to let it infuse overnight. Just started this weekend. I’m glad to have find this site. Has anyone ever used frozen fruit? Our local grocery store didn’t have any strawberries and this is one that my daughter & I really want to try. I really want to get rid of this bad breathe. I’m good with the dental hygien and diet. 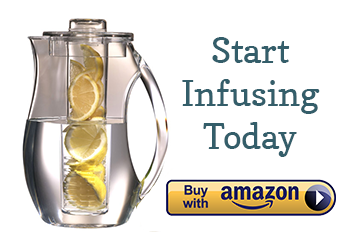 Can you suggest an infused water receive? I love fruit water. And i do myine by the cup cause im the only one who drinks it 🙂 a little mint and watermelon is good i just throw whatever in my cyp tho. This is Great site and I look.forward to enjoying my water now! I just got my water infused bottle this after noon and found your site! Keep up the good work!!! Thank you very much, as I have been trying various infused water combinations that my kids will enjoy. (I myself like most combinations). Thanks again and I appreciate your educational website!